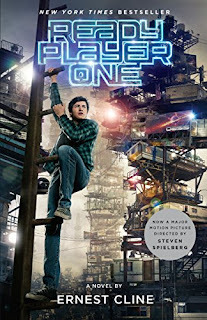 Descent into Escapism: The Problem of Ready Player One. I thought there was more to talk about. Turns out it's just not worth it. When it comes Ernest Cline's Ready Player One my opinions tend to be somewhere on the strong negative side of things. Because of this, I thought there might be enough material to devote to a multi-part review. However, as I dug further into the novel and it's cinematic adaptation, I soon realized that it's hard to talk for a long time about little to nothing. If you can't guess already, I have issues with this book. It doesn't all have to be a bad thing, though there's no way I can call it good. The benefit of Cline's text is that it does present a useful picture for examining the state of the modern pop-culture audience, even if it's not pretty. For the longest time, one of my concerns has been what to make of the current state of both pop-culture, and the ways in which it is discussed, examined, and talked about. I think the first time I ever realized this was a topic that needed looking into was when I ran into the phenomenon of professional YouTube vlogging. I should stress here that some of it is worthwhile. However, I was struck by the lack of knowledge or literacy on the part of the creators of a lot this content. What I mean is that I would run across a critic who would try to tackle cinematic classic like the Godfather, or Sergio Leone's A Fistful of Dollars. These are two films generally regarded as classics. However, all this millenial vlogger could think about is how dull or slow moving the action or plot is. He seemed unable to grasp the finer shades of characterization and tension building that has to go into making a story work. His entire aesthetic outlook was limited to the modern blockbuster mindset. The irony is that he wasn't too far removed from the mindset of Cline's novel. From there, I began to discover a similar lack of critical insight in other places like actual journalism. In some ways, Cline's writings are best thought of as a resource where I can pinpoint all that is wrong with the state of the arts today. It has helped this much in that I can now point to something that explains the plight of both the audience and the arts at early start of the 21st century. I'd like to examine the book and it's adaptation in order to take a closer look at the problem of this lack of modern cultural literacy. This is going to be difficult. The reason for saying this comes from the fact that I'm sort of working at cross-purposes for this post. 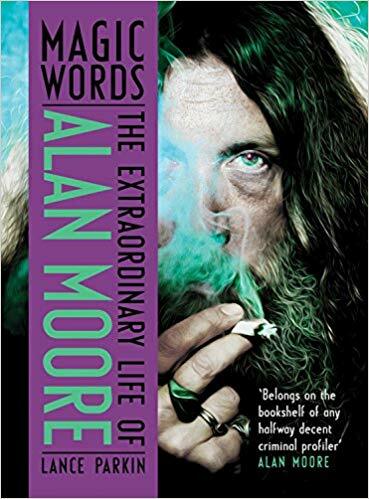 On the one hand, what you can expect to get here is a brief review of a biography of Alan Moore, the legend who helped redefine the nature of comics and graphic novels in the 80s. At the same time I'm sort of fascinated just a bit more with the kind of zeitgeist that was capable of producing an artist like Moore in the first place. It helps to understand that Moore was just one of several names to appear in a brief moment of artistic activity that may have started somewhere around the mid to late 70s, and gained it's peak notoriety during the 80s before disappearing into separate elements by the mid 90s. This activity consists of at least two discernible shared traits. The first was that most of it was centered in Britain, though I guess a few Americans were able to make some contributions here and there. The second was that it revolved around a kind of minor vogue in both the graphic, literary, and performing arts. It's difficult to talk about this moment of history. 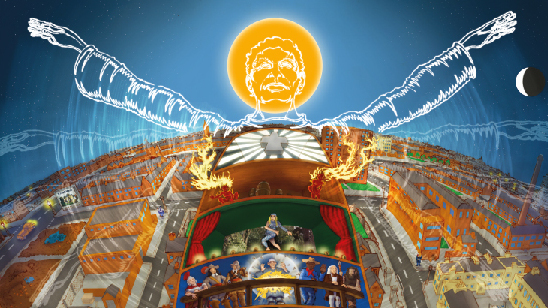 Modern pop-culture is familiar with the names of the individuals associated with this creative explosion, such as Moore, Neil Gaiman, Douglas Adams, Terry Gilliam, etc. However I still haven't seen any attempts to look at these artists as a kind of semi-group which formed as parts of a bigger creative enterprise. This is explainable in that it was all fairly recent, and most of it's participants are still alive as of this writing. It could be that not enough time has passed for anyone to take proper stock of this historical moment. Still, the creative time span was there, however brief, and sooner or later some efforts should be made at trying to trace out the larger patterns of the artistic undercurrents that gave us V for Vendetta, The Sandman, and lesser known productions, such as Peter Straub's Shadowland, or Kim Newman's Diogenes Club. I'm not sure this group deserves to be called a movement or anything like that. On the whole, they all seem too individualistic to be considered anything like a unified front. However, lack of unity doesn't perhaps rule out a certain degree of shared or thematic overlap. If it's at all possible, what I'd like to do here is see how far I can trace out any hint of these underlying patterns and themes by examining individual novels or comics from this brief period of time, along with exploring the lives of their respective authors, and seeing whether or not they help to form a greater thematic whole. That's a tall order for any critic to undertake. Perhaps such a goal is misguided. It sure doesn't help that this is not something I can tackle in a more organized fashion. Rather I've known since the first word of this post that this project would have to be an off/on type of deal. I may start here, with Moore, then nothing connected with it for several posts, only to to turn my attention back to this zeitgeist and it's artists out of the blue and with no more warning other than the whim of the moment. Maybe this idea I have really is too far fetched to make sense. 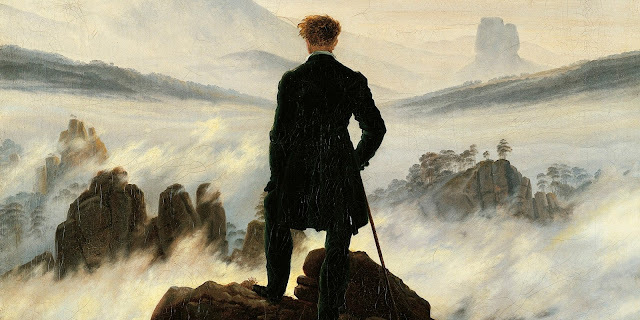 It doesn't shake the conviction that the authors who made a name for themselves in the aftermath of the 60s make up a creative period in the history of Western literature, and that, like a lot similar moments before it, this creative span of time is capable of, and actually deserves a critical-aesthetic examination. I'd like to start by using Parkin's life of Alan Moore as he seems to be one of the most covertly versatile participants in this unofficial group. In addition to his work in the field of comics, Parkin's also takes readers on a tour of the other aspects of Moore's that get little to no interest from the mainstream media. With all this in mind, and with hopefully some awareness of my own critical limitations, let's begin. Shakespeare once said that "All the world's a stage, and all the men and women merely players; they have their exits and their entrances, and one man in his time plays many parts (web)". This kind of sentiment can always be chalked up to the idea that to a carpenter everything looks like a nail. Still, it is possible for a person to wear more than one hat. You get them every now and then, like versatile freaks of nature. A good case in point is J.K. Rowling. She doesn't need much in the way of an introduction. She made Harry Potter after all. What more is there to say? For a fan of Hogwarts the answer might be that there really isn't any need to say more. You have her books and their adaptations. That seems to be all the fans want. If there's any truth to that, then the bad news is that Ms. Rowling must be one of those restless sorts by nature. If I were to say that she had an idea for a new book series, one different from the exploits of Harry and his friends, would you be interested? 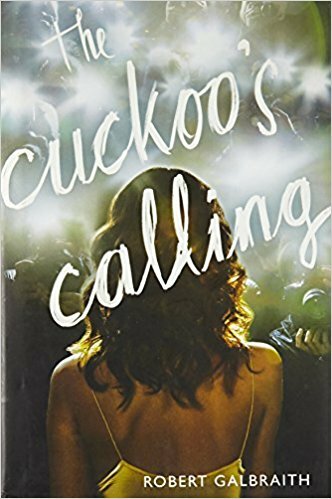 Even if the answer is no, it doesn't change the fact that in 2013 Hachette Books published The Cuckoo's Calling, by Robert Galbraith. It came and went while making barely a ripple on the popular front. There was no fanfare, and the publishing hype was the modest sort you tend to expect for old mid-list fiction authors like Donald Westlake or Mary Higgins Clarke. It took a while for some readers to figure out that Galbraith is a man who never lived. The name was a pseudonym Rowling used as a cover for her latest literary endeavor. The idea sounds kind of far-fetched and counter-intuitive. What would an author who writes and about wizards and fantasy creatures want with a drug-store rack thriller? If this is the natural response from her fans, then this also doesn't change the fact that it was her creative choice and she made it. The surprising part is that she was able to succeed in her efforts. I'd like to take some time to explain why I think The Cuckoo's Calling is worth a read, as well as being something of a nostalgia trip for certain types of readers. You're welcome to join along, if you're willing to take a walk on the wild side. The game's afoot! An Film You Wouldn't Expect: The Collaboration of John Ford and Shirley Temple. Imagine this. You are just an ordinary guy, like a lot of others. Then one of your older brothers heads out West, and winds up working in Hollywood. It's interesting, yet what dos that have to do with you? Time passes, and nothing extraordinary happens until you receive a letter from your big bro asking if you'd like to visit him in Tinseltown? You're the kind of fellow who is a natural round peg in a field of square holes. It's hard to get a sense for what you want to do with your life, and there are no prospects on your home turf. So, why not? You wire your brother and tell him you'll be right over. You arrive on the West Coast to discover that Big Brother has made something of a name and reputation for himself. He's smart enough to see that baby bro doesn't know what to do with himself, so as a humiliating form of pity, he takes you under his wing. You help him out on minor stuff, mainly lighting and handling the film cameras. One day you run across Mr. Carl Laemmle. For what ever reason, this man you've hardly met before thinks he "sees something" in you. The guy's delusional, there's no doubt about that, but he's the boss, so you humor him and go along with whatever he wants. Mr. Laemmle does the irresponsible thing by placing you in a director's chair, and gives you a film to make. The job is okay, at first. You spend most of your time trying to get a ship of fools to follow orders. The funny thing is you discover a knack for always finding where you want the camera to be. You also have a way of making the actors hit whatever mark the script says they should. One day you wake up to discover you've made name for yourself. This is both wonderful and horrifying at the same time, with the latter tending to dominate. For one thing while it's great to have a secure future, you find that perhaps you don't really fit in any better in Hollywood than you did in your old hometown in Maine. You grow famous by telling stories of heroes and the history of the American West. You even have the knack for discovering talent in the form of a big lug with the ridiculous name of Marion Morrison. After some deliberation, the kid (who prefers the nickname of "Duke") settles on John Wayne as a title. Together you and the Duke manage to give an identity to what some will go on to call Hollywood's Golden Age. None of it makes you comfortable and it never gets any easier. You care about you're wife and kids and yet you make a series of unfortunate discoveries. The worst of it is that you focus on heroism in your film's so much because you are either a coward, or else you just can't help thinking that you're one. This makes you unhappy enough to have a fair temper. You lose it because you're unhappy and you're unhappy because you lose it. You wonder if there's a way it could ever have been different? Who knows. 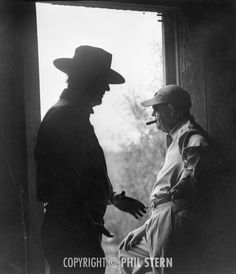 Perhaps you're own cowardice is the reason you are able to depict heroism and its darker shades, so well Still, you can't deny the accomplishments of John Ford, even if he never existed. "This is the west, sir. 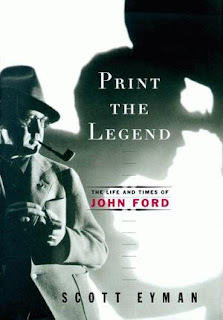 When the legend becomes fact, print the legend". This at least is what happened with the life of John "Jack" Feeney. In a career that lasted from the Silent Era to the birth of New Wave Cinema, he managed a creative arc that is both iconic and, sadly, almost forgotten in a post-millennial age. Ford cemented his identity with Stagecoach, released in 1939. It was also John Wayne's breakout role, and it helped cement the both of them as artists who specialized in the Western genre. Their subject matter would be a gritty merciless examination of the history of the frontier. That's the popular legacy of Ford, and while it is true to an extent, it is still just one facet of much wider story. The irony is what do you do when even the truth sells you a bit short? 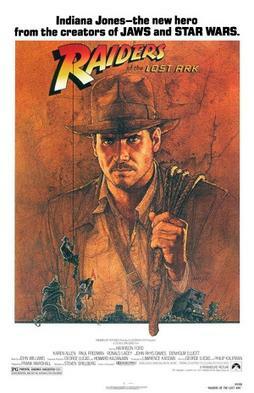 In addition to the films that made his reputation, there was also an intermediate period where Ford tried his hand at a number projects in different genres. Most of these were were best described as social realist dramas, although he did branch a bit further on occasions. 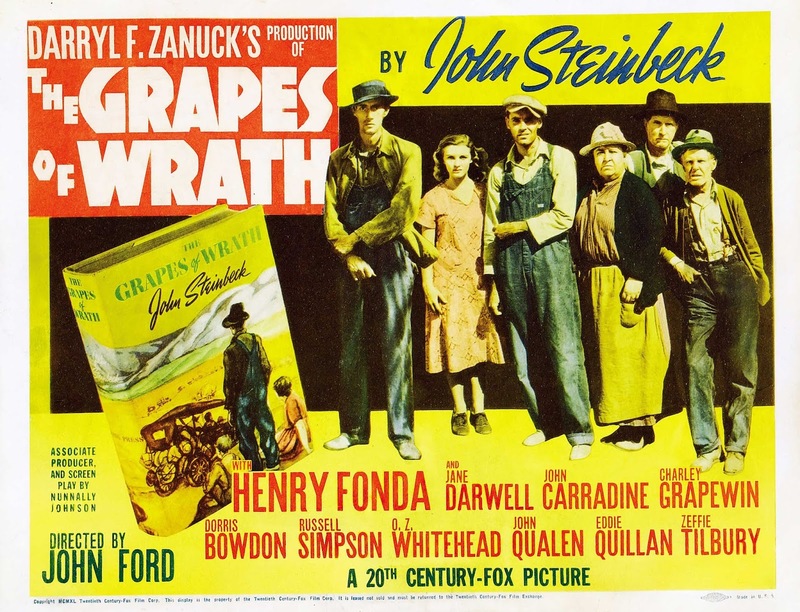 When that happened, you could get an adaptation of Steinbeck or Eugene O'Neil. 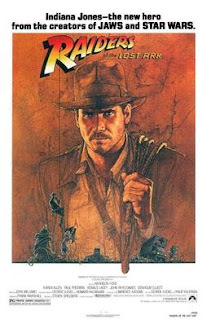 He made a jungle adventure story with Clarke Gable if you can believe it. He even did a slice of life crime drama at one point. In Hollywood anything can happen. I mean anything. Scholars and critics tend to view 1939 to perhaps 1946 as the director's peak years. Those were the years Ford directed Young Mr. Lincoln, How Green was my Valley, and My Darling Clementine. All of these films are of value. Each of them deserves a post of their own. To start with, however, I'd like to take a look at the one film that in many ways is the last one anyone could expect of John Ford. The irony is that while the film can be described as "out of character" for its director, it also contains a lot of the themes that reappear in his other films. In order to make sense of all this however, we have to get to know the star of the picture. 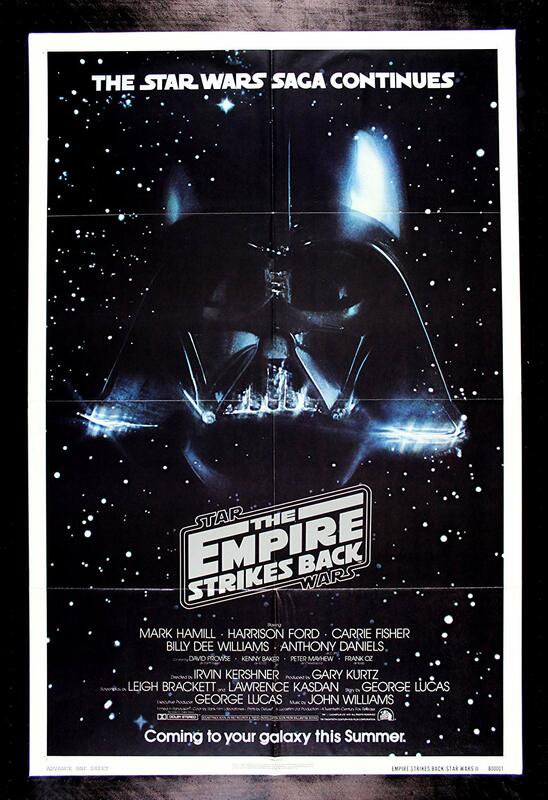 Star Wars and the Question of Canon 6: Dark Empire. I started all this to try and reach an understanding of just what kind of story Star Wars is and what are the themes and ideas that give it its identity. I set about trying to find the answers to these issues by examining both the original trilogy, along with a selected series of materials stemming from the Expanded Universe. The big take-away from this attempt at a deep dive into the franchise has revealed a number of thematic concepts that more or less define the core of both the first trilogy and its literary, audio, and digital off-shoots. These concepts can be divided into three categories. The first is the surprising number of symbols, characters, and even plot elements that can be discerned as deriving from Elizabethan Drama. 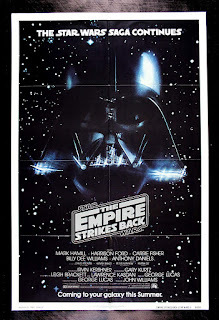 In particular the characters of Luke, Vader, and the Emperor contain character notes and trajectories similar to those found in the work of Shakespeare and Christopher Marlowe. 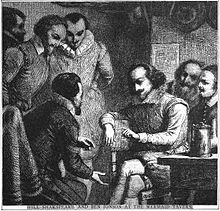 The main Renaissance theatrical texts that find a modern echo in the OT are Doctor Faustus, Macbeth by way of King Lear, and Hamlet. It is the thematic content of these plays which seems to inform a great deal of plots of ANH, TESB, and ROTJ. The second shared element in all the narratives under consideration is the subject of characters who change from one type of individual into another. Each of the main films, even the novels and video games in the franchise concern themselves with how a person's outlook, and hence their entire identity can reshaped by the force of the narrative events that happen to them. The best way to gain an understanding of what I'm talking about is not to focus on the heroic trio of the OT. Those characters have become a bit too familiar to audiences everywhere to the point that there might be a risk of turning them into ciphers for one's own personality or outlook at the expense of objectivity. A better candidate to help understand this theme of change from black to white is the spinoff figure of Kyle Katarn. He is a character who begins as an anti-hero who finds himself turning into a Jedi. The dichotomy at work here is like what happens when a professional thief one day decides to become an aid to the police in catching others just like him. The transformation of Kyle is from that of a negative to a positive state by the time his story reaches its conclusion. It is the one theme he shares with the OT crew. This is an important point to emphasize, as establishing what genre tropes and structures make-up both the OT and EU will go a long way toward clarifying the nature and definition of the franchise. If you can define what gives SW it's identity as a story, then you can comes as close as possible to defining which possible sequel material deserves to be singled out as canon. I think the fact that the trilogy counts as a Romantic tale means that whatever comes after has to be consonant with that mode. Too much of a deviation would strike a false note that would be noticeable to most of the audience. Even if they can never find the words for it, the existence of that false note will cause them to use phrases like "something just seems off somehow". The reason things seem off is because of the introduction of a discordant note in what is supposed to be a harmonious Romantic mode. The best proof of SW as a work of Epic Romance comes from one it's main sources of inspiration: Joseph Campbell. According to his biographer Stephen Larsen, Campbell spent the better part of his career in teaching a class on German Romanticism (233). This study course was aided a great deal by his meetings with scholars like Heinrich Zimmer (319). For better or worse, the net result is that it means Campbell is in some sense an heir of the Romantic School of creative writing. It is a method of approach to both writing and criticism that is contained in a text like The Hero with a Thousand Faces, a book that went on to influence directors like George Lucas. 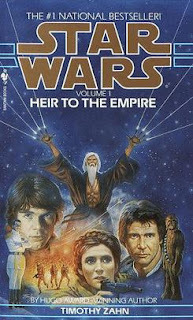 Because of this historical excavation it is possible to make the case that SW does count as a work of Romantic fiction. 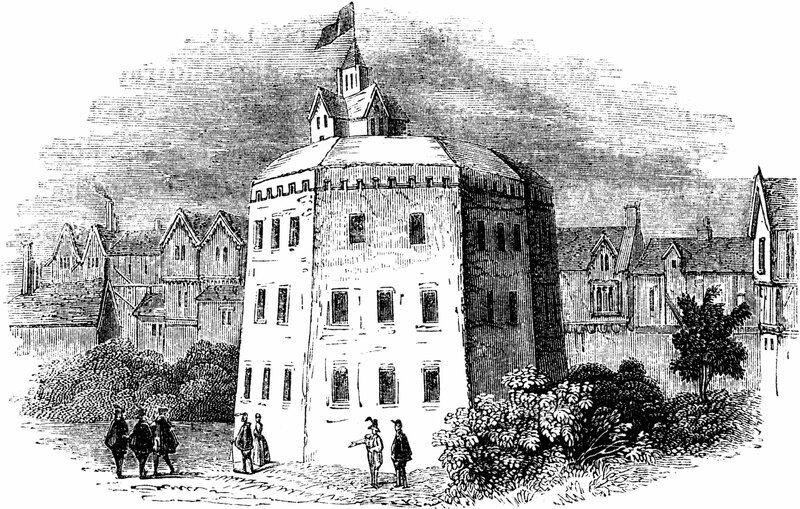 This forms an identifiable tie-in with the works of Shakespeare inasmuch as the Romantics were the inheritors of many of the tropes and dramatic practices from the playwright's day. From this vantage point it is possible that the constant recurrence of certain types of Shakespearean motifs begin to make just a bit more psychological and thematic sense. The ability to define the franchise as a Romantic work of art does carry with it a certain amount of limitation in terms of what kinds of stories you can tell in this fictional universe. What works in a horror story, for instance, will always be out of place in the Far Away setting. There has been at least one attempt to wed the Romantic setting of SW to the gory aesthetic of a horror story. The problem is while there's talent involved, the writer still can't bring his ingredients together to create a unified whole. The styles of Romanticism and Lovecraftian Cosmicism are always clashing in a way that fails to gell in a satisfying final product. 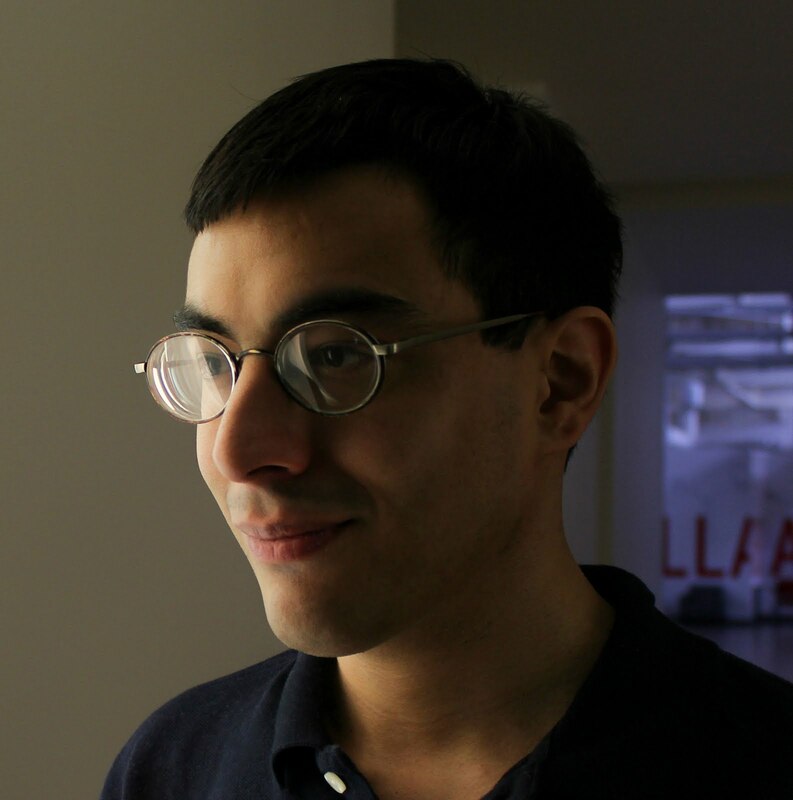 This doesn't seem to be the only literary mode that serves an ill fit with the franchise, as it seems to be the natural function of the Romantic or Epic mode to act as a contrasting or transformative agent to the anti-heroic nihilism to which it acts as a form of counter-cultural response. While it might not be possible to set a work of horror in the SW galaxy, it may still be possible to tell a Romance Epic with elements of Gothic fiction thrown into the mix. Such appears to be the case with Dark Empire. It has to be stressed that here that it is possible to draw a dividing line between between the modern genre known as horror and the elements and themes labeled as Gothic. The genre of horror was an outgrowth of certain narrative and atmospheric tropes first utilized in the work of the Romantic poets such as Coleridge's Ancient Mariner. These tropes were then transferred to the burgeoning novel format by Victorian author Horace Walpole with the publication of The Castle of Otranto. While this work and Mary Shelley's Frankenstein helped cement Horror as the main genre of Gothic aesthetics, it must be remembered that the tropes normally identified as Gothic (an atmosphere of foreboding and dread, confusion on the part of the protagonists, the blurring of illusion and reality) all had an independent existence in myth and folktale before each separate element came together to form the modern horror story. It is, after all, just a version of a fairy tale where the emphasis has been placed on the ogres, goblins, and trolls under the bridge instead of the elves and nymphs in the pastorals. Dark Empire serves as a neat blend of both the Science Fictional and the Gothic. There are other reasons as well for taking a deep dive into an entry in the Star Wars Expanded Universe that has had the bad luck to fall through the cracks of mass audience attention. I'd like to examine not just the Gothic strands in the story, but also its connection to classical myth. I'd like to go so far as to argue that part of the writings of Plato is a the heart of what I consider a fitting end to the Skywalker saga. In order to do this, I will be reviewing yet another audio drama. This time the production is based off the first series of a graphic novel run. I will be focusing strictly on the audio adaptation because I consider it a general improvement on its source material. In this regard, it is interesting to note the way that characters and situations in this universe can expand and grow when given enough time and actual creative effort. With that in mind, let's go exploring. 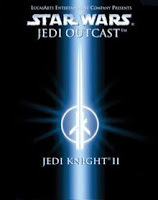 Star Wars and the Question of Canon 5: The Dark Forces/Jedi Knight Series. It's interesting to consider the nature of spinoffs in relation to canonical texts. The rule of thumb seems to be that they always stand in the shadow of either a parent franchise, or else a more polished, well regarded text. Still, history does contain a few examples where spinoffs managed to stand on their own. The two best examples are still Huckleberry Finn and Lord of the Rings. While it might not be possible for the stories centered around Kyle Katarn to ever eclipse the original trilogy, it would be a mistake to call his fictional exploits a failure. I'd like to spend some time exploring some of the reasons why a character from a different medium offers some of the best follow-up material to the original Star Wars films. Star Wars and the Question of Canon 4: The Thrawn Trilogy. I can still remember the first time I saw a copy of the first book in the series. It was in an old indie chain, one of those brick and mortar booksellers that are now something of an endangered species. I was either in the children's or Sci-Fi stacks, I forget which one it was now. Either way, I turned into one aisle and there it was. It featured all the old familiar faces, along with someone who looked like, yet on closer inspection was not Alec Guinness. I don't think I ever noticed the smaller figure with red eyes way off in a corner of the front cover. I think the first coherent thought I had after I first saw the book was one of surprise. Next came an instant of incredulity, like I couldn't believe anyone would ever think of taking these characters and putting them in an actual ink and paper book. I noticed it there on the shelf, yet I moved on and never even gave it another thought until quite a while later. The next time I saw it was on the shelf of a used bookstore (this one still thankfully around) and it must have been sometime after the release of Episode 1, because this time I bought it, brought it home on impulse, and dived right in. I can't say it's a decision I regret. that started the whole avalanche was sort of dying down in terms of audience awareness and enthusiasm. Sometime after 1986, Howard Roffman, the head of what was then Lucasfilm's licensing department began to think of ways bringing the Far, Far, Away back into the public consciousness. "The first thing we realized was that our fan base had grown a bit older. The kids who had bought the toys were now in college. 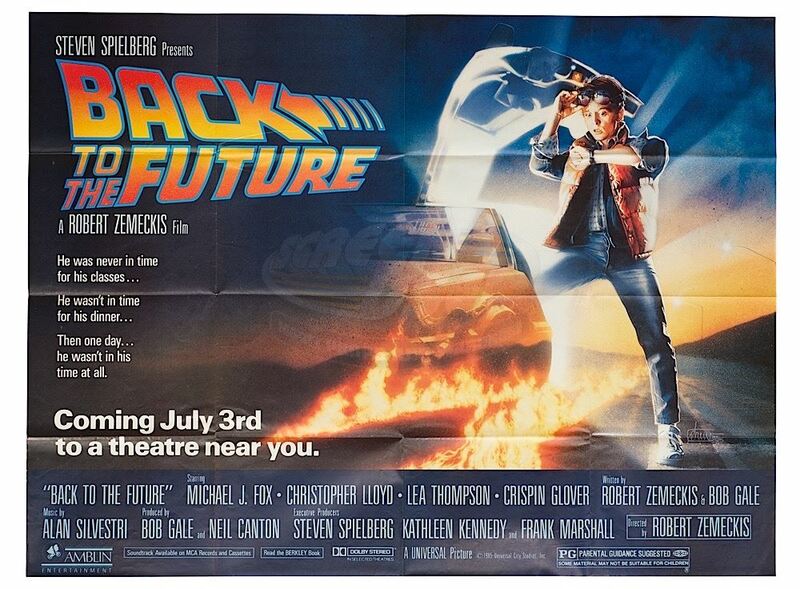 Fans who had been teens or adults when the films came out were probably starting careers or families. Where could we take Star Wars that would be relevant to their lives? nostalgia play and, frankly, not very stimulating. We needed to give the fans something new, something that appealed to a more mature sensibility. And, we reasoned, because Star Wars is all about story, the natural ground to explore was books - books that could expand the story, starting with the characters and situations so vividly established in the films and taking them to places never before imagined (HTTE20A, xiii - xiv)". 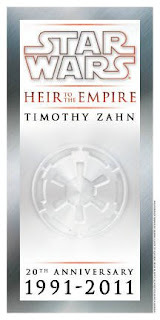 Timothy Zahn was the author contacted by Lucas's company with possibility of writing first continuation novel set in the SW universe. By his own account, he more than just a little intimidated. "At issue was the fact that this offer was very much a two-edged sword. I had the chance to jump-start my career in a way I could never have anticipated or even hoped. I also had the chance to fail spectacularly in front of a potential audience of millions. "Because I was going to have to write Star Wars. Not something science-fictiony or space-operatic with the name Star Wars on it. I was going to have to write Star Wars. I would somehow have to capture the scope and feel of the universe; the faces and voices of the main characters; the ebb and flow and rhythm of the movies. The readers had to hear Mark Hamill's and Carrie Fischer's and Harrison Ford's voices inside my quotation marks. The people flipping through those pages needed to be able to hear John Williams's music in the backs of their heads. "If I couldn't do that, or at least get close, it wouldn't be Star Wars. It would be An Adventure of Two Guys named Han and Luke. And that would be a waste of everybody's time. "There was more. Not only did I have to get the feel of the universe right, I also had to come up with a story - a three-book-long story, in fact - that wasn't simply a rehash of what George had already done. I would have to age the movie characters believably, and create new characters that would fit seamlessly into the mix (xviii - xix)". The irony is the net result of all those misgivings was more than a one-off. 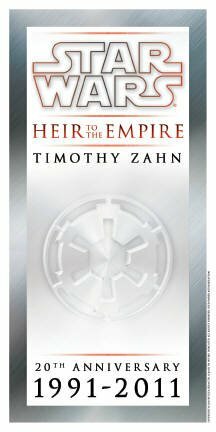 Together, Zahn's three book series helped launch was is now fondly remembered as the Expanded Universe, a collection of novel, comics, and audiobooks detailing the rest of the lives of everyone's favorite, space-faring power-trio. While I can't say every entry was a gem, part of the glory of the EU was that it always managed to have something for everyone. If you didn't have the stomach for a multi-book story, you could help yourself to a neat stand-alone novel about the history of the Millennium Falcon. It was Zahn, however, who kicked started the whole venture onto the printed page. In what follows, I've been making use of the author's handy annotations from the 20the anniversary edition of Heir to the Empire, the first book the series. I also want to highlight the work of one fan who seems to have go quite a way towards looking at the underlying structure of all three novels. With that in mind, I'd like to take a closer look at a trilogy I think serves as a worthy successor to the one started way back in 1977. I'm what you get when take a normal, average kid, leave him to his own devices, and surround him with plenty of leisure, and the right book at the right time in which to spend it. Basically, I've been a reader since childhood, and have since graduated to being fascinated just as much by how audiences receive their entertainment as with how artists are able to create it. The result of these twin fascinations is the blog you see before you. I aim to examine how art gets made, how we, as audiences, interact with it, and what it is the meaning of it all (if any).